To be irrevocably in love with a vampire is both fantasy and nightmare woven into a dangerously heightened reality for Bella Swan. Pulled in one direction by her intense passion for Edward Cullen, and in another by her profound connection to a werewolf Jacob Black, she has endured a tumultuous year of temptation, loss, and strife to reach the ultimate turning point. her imminent choice to either join the dark but seductive world of immortals or pursue a fully human life has become the thread from which the fate of two tribes hangs. Now that Bella has made her decision, a startling chain of unprecedented events is about to unfold with potentially devastating and unfathomable consequences. Just when the frayed strands of Bella's life - first discovered in Twilight, then scattered and torn in New Moon and Eclipse- seem ready to heal and knit together, could they be destroyed...forever? #1 “I know - I'll play you for it," Alice suggested. "Rock, paper, scissors." Jasper chuckled and Edward sighed. "Why don't you just tell me who wins?" Edward said wryly. I'm sure most of you are aware that Breaking Dawn Part 2 was released in theatres here in North America on Friday, so in celebration I thought it would be a great time to do my Memory Lane Monday for Breaking Dawn! This book, I guess you can say, is probably the most controversial book of the series- you either love it or hate it. I personally LOVED it- it's tied with Twilight as by favourite book in the series. Why do I love it? Well, first of all, our beloved Bella and Edward get married (may I add that I call dibs on Alice planning my wedding)!! Second, Bella and Edward do the "birds and the bees" for the first time *hoot hoot* Even though that now that I'm a bit older, I kind of wished we would have gotten more detail in that scene....it's still pretty awesome. And thirdly, they have a beautiful vampire-human baby named Renesmee. Now, I know some of you don't agree that Renesmee is "beautiful"...more like creepy right? And some of you might absolutely despise that name....but, I definitely love Renesmee- weird name and all (I actually think the combination of Renee and Esme is so cute)! The one thing I probably disliked the most was having one third of the book in Jacob's POV. I understand that we needed to witness things from someone else's perspective because a majority of this book consists of Bella on the couch, but I'm just not a huge Jacob fan. I actually find that the creepiest part of this book isn't Renesmee, but Jacob's imprint on Renesmee. I mean, how awkward is it going to be when Jacob has to tell Renesmee, "Yeah, so your mom and I have kissed...twice...and I was in love with her." .......one word: EW! No to mention that when you really think about it, Renesmee will stay 20ish forever, while Jacob will eventually age and die. How sad is that?! All the Jacob-Renesmee craziness aside, I actually really love this book (and I loved both of the Breaking Dawn movies- especially part two)! So if you haven't already, I recommend you give this series a shot- because even if you've seen all of the movies, the books are always better ! What do you think about Breaking Dawn? Have you watched Breaking Dawn Part Two yet? Be sure to let me know in the comments below! See you next Monday! 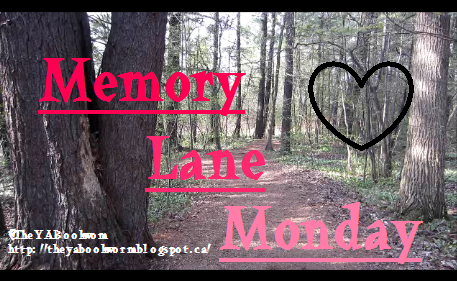 My Memory Lane Monday had to be scheduled for late last night due to a blog tour, but here it is! Have a great week, Caitlin!!! Oh I absolutely LOVED your Memory Lane Monday this week- just finished visiting and commenting :) Thanks for stopping by! 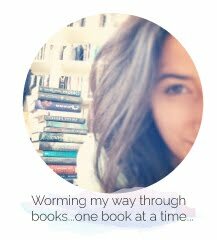 I know that many people have mixed feelings towards the series but its what started my "bookworm ways" so it will always be special to me, lol !